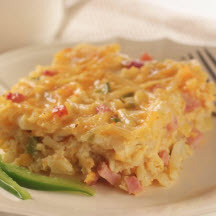 CooksRecipes has quality, kitchen-tested recipes for breakfast casseroles made with bacon that you can count on for successful deliciousness. 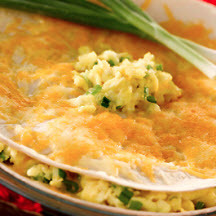 Everyone has a recipe like this somewhere in their repertoire, the perfect dish for holiday overnight guests or a brunch. Reinvent your breakfast with this morning treat. 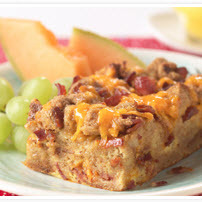 Serve with cantaloupe wedges and orange juice and start your day with a smile.